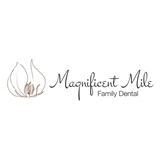 Magnificent Mile Family Dental (Chicago) - Book Appointment Online! Dr. Okediji is fantastic, this was by far the least painful or uncomfortable experience I've had with cavities. She is very professional and straightforward and she and her team explain things very thoroughly. I would highly recommend this practice.